USNI News, a U.S. Naval Institute website, cited a congressional notification it obtained, signed by Navy Secretary Ray Mabus, as saying the second in a new class of fleet oiler ships would be named the USNS Harvey Milk. An oiler is a combat logistics ship that can replenish other ships with fuel, ammunition and other supplies while underway, CBS San Francisco reports. The John Lewis-class of ships, named for longtime civil rights activist Rep. John Lewis, D-Georgia, will be named after other civil rights leaders. Others in the class still to be built include former Supreme Court Chief Justice Earl Warren, whose court desegregated U.S. schools, former Attorney General Robert F. Kennedy, women’s rights activist Lucy Stone and abolitionist and women’s rights activist Sojourner Truth. Naturally, the decision by the Navy has already caused an uproar with conservative groups like the American Family Association who are asking followers to contact elected officials to express their outrage. 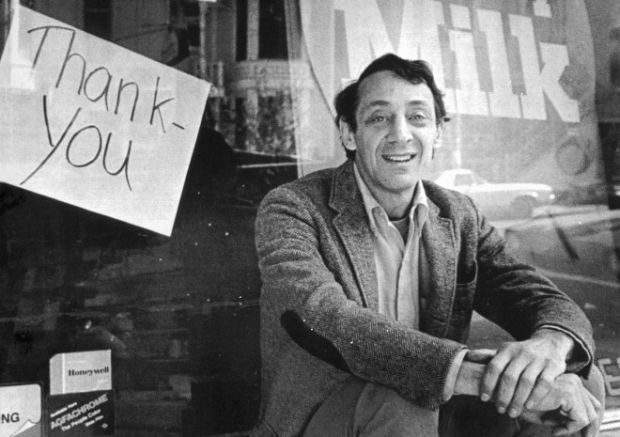 Milk was the first openly gay politician to be elected to office in California when he was elected to the San Francisco Board of Supervisors in 1977. He and Mayor George Moscone were assassinated by former Supervisor Dan White inside San Francisco City Hall just 11 months later.